If you want to be located in the beautiful trees & less than 3.5 miles from Prescott, AZ’s historical Courthouse Square & Whiskey Row this might be just the home for you & yours. Home has 3 bdrms, 3 bath, & 2762 Sq. ft., on two levels. The upper level main floor features large living Rm, great room, dining area, master suite, guest Bdrm & 2 bathrooms. Kitchen has granite counters & stainless steel appliances. Lower level has family rm, wet bar, 3rd bdrm, guest bath, dbl door access to covered & exposed patios & a large storage/work shop or craft Rm with outside access. Combination of great room/dining/kitchen with access to large deck provides ample space to entertain family/friends in the Prescott lifestyle. Lower level side yard has covered carport, space for RV & large storage shed. Directions: White Spar/Copper Basin, W-Copper Basin, R-View Point Rd, L-Heavenly Place, R-View Point Rd. Approximate size: 10454.00 sq. ft. 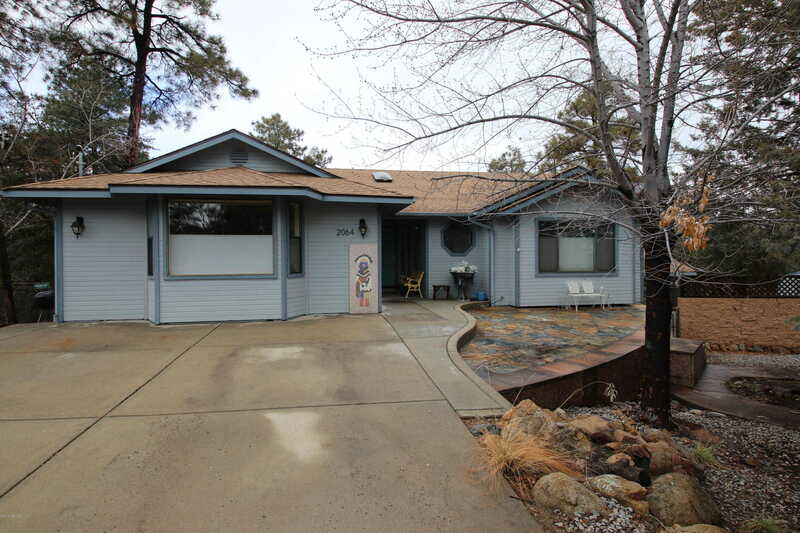 Please, send me more information on this property: MLS# 5871051 – $387,875 – 2064 W View Point Road, Prescott, AZ 86303. I would like to schedule a showing appointment for this property: MLS# 5871051 – $387,875 – 2064 W View Point Road, Prescott, AZ 86303.